Approximately 10,000 undergraduate and graduate students attend California State University, Bakersfield. 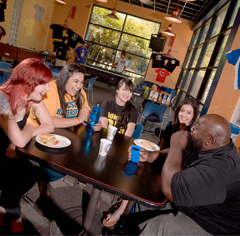 In addition to excellent academic programs, CSUB offers a vibrant and close-knit campus community where the administration, faculty and staff are all committed to helping students succeed. Please click on the links at the left to learn more about student life on campus.